STOCKTON, Calif.- Stockton fans will get an early look at the Ports this season, and will see a familiar opponent in the third base dugout. The Ports will host Cal State University, East Bay (CSUEB) for the fourth consecutive season on Tuesday, April 2nd, at 7:10p.m. at Banner Island Ballpark. "Our players love playing in beautiful Banner Island ballpark and against the Oakland A's top prospects," said Cal State East Bay Head Coach Mike Cummins. "They still talk about facing A.J Puk." Last season, CSUEB finished with overall record of 24-26 and a 21-23 conference record, just two games shy of qualifying for the postseason. Senior Alex Vesia was selected by the Miami Marlins in the 17th round of the 2018 MLB Draft, making him the highest pick in the Draft since the program joined NCAA Division II in 2009. "We are excited to welcome Coach Cummins and Cal State East Bay to Banner Island Ballpark for a fourth consecutive season," said Ports President Pat Filippone. "We truly appreciate the opportunity to give our fans and players an exciting and competitive game year-in and year-out." Tickets for the exhibition game are currently available to the general public for $6 each. Fans may purchase tickets online at stocktonports.com. 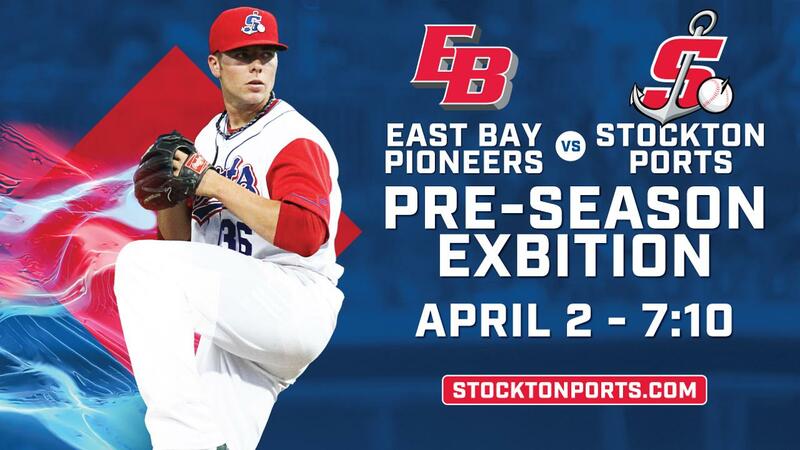 Ports full-season and half-season ticket holders will receive tickets for the exhibition game as part of their plans and may purchase additional tickets for a discounted price of $4. The Ports Opening Night 2019 is scheduled for Thursday, April 4th vs. the Rancho Cucamonga Quakes. Ports ticket memberships, group tickets, and mini-plans are currently available by calling the Ports Front Office at (209) 644-1900, or visiting www.stocktonports.com. Office hours are Monday through Friday, 9:00am to 5:00pm.